Now Open in Dee Why! Here at BUMP we understand that it is not always easy to make time for yourself during your pregnancy and even more so after childbirth. If you are pregnant, planning to become pregnant or are postpartum, staying fit is extremely important. 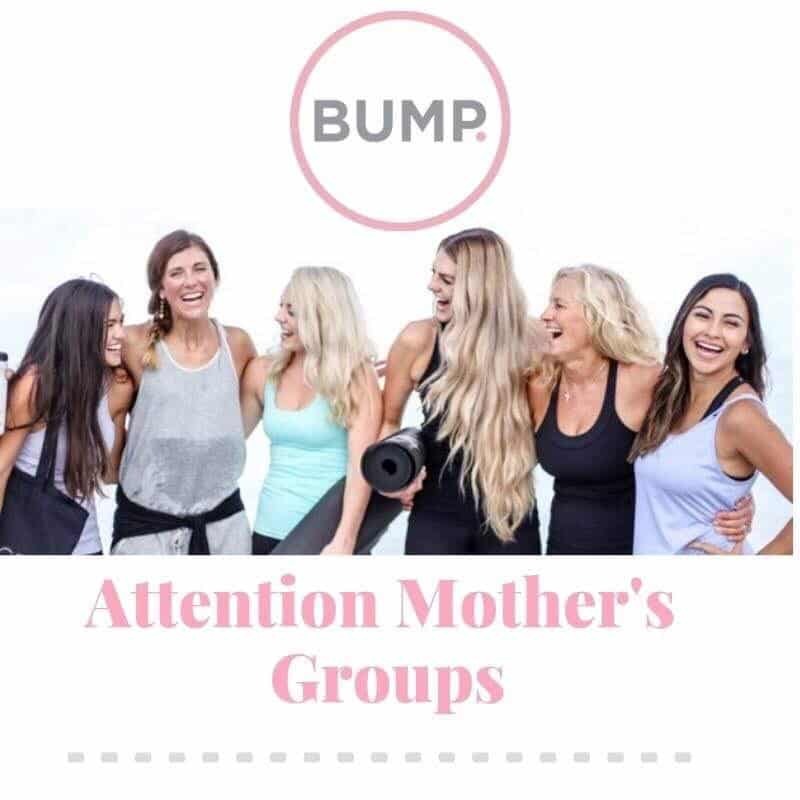 As the only pre and post-natal Club servicing the Northern Beaches, BUMP offers mothers and expectant mothers a truly one of a kind experience, all under one roof. Our mission is to create a community that offers unparalleled support to women. A place where you can feel guilt free about taking time-out to work on getting your mind and body back. Whether it’s fitting back into your favourite jeans, or seeing a particular number on the scale, we are here to create the safest and most effective training program for you. BUMP Health and Fitness are currently offering local mother’s groups a chance to try out our facilities for free. To access this package all you need to do is organize a group of 4 or more mums and get in touch with us on 9971 9346 or send us a message below. Our carefully considered Classes are designed to offer you a wide array of choices while on your pre or post-natal fitness journey. Our expert specialist Pre & Post Natal Personal Trainers can give you the most personalised service throughout your pregnancy and beyond. Our Crèche is available for all children from 6 weeks to 8 years and is supervised by our amazing team of educators. With a wholistic approach to womens health, we have on site Women's Health Physiotherapist to ensure you get the right advice from industry experts. In house we host regular educational pregnancy related workshops to help like-minded mums learn from the best practitioners in the industry. Workshops such as breastfeeding, sleep consultants, & more. We use real time ultra sound technology to allow us instant feedback to assess issues with your pelvic floor and abdominal separation. By joining as a member at BUMP you will get unlimited access to over 40 classes a week. You are also able to attend any of our regular Health and Wellness workshops that we will be hosting for free.Complimentary towels, pukka teas and coffee are also available every workout. Can I just use BUMP for Personal Training? Yes. We offer personal training packages, as we understand that classes aren’t suited for everyone and some people require some extra attention. No. We offer a no fixed term contract for anyone that is looking to use us for short periods of time, we can also pause any memberships for mums having their babies before returning back to their exercise routine. How much is the crèche? Our crèche prices start from as little as $8 for 90 minutes. We like to encourage our members to use their full about of time to enjoy a baby free shower or a free coffee with their friends in our chill out area. We have capped all our classes based on what type of class it is. We want to ensure every member gets enough attention through out their workout and you don’t just feel like another number.Class sizes vary from 8 up to 16. Here at BUMP we are proud to offer many comprehensive facilities and services during your journey through Motherhood. Sign up to our newsletter to receive occasional news, updates, and info about the services we offer.